We are the #1 Locksmith in Benbrook and DFW! 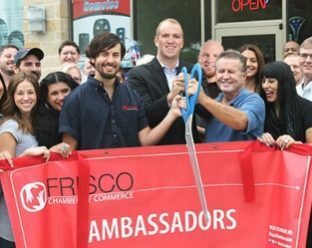 If you find yourself in need of a Benbrook, TX locksmith, don’t settle for anything less than the absolute best service. A-1 Locksmith has been serving the area for 6 decades, consistently providing first rate results. We strive to make access to a professional locksmith convenient with 10 retail locations as well as the availability of mobile service. When have more than 75 employees throughout the area. All of our locksmiths have undergone extensive training and they are licensed to work in the State of Texas. A-1 Locksmith is also licensed by the State of Texas. We are bonded and insured for your protection, so you aren’t liable for any accidents. You can hire us with confidence and peace of mind. We can take care of all your locksmith, safety and security needs in Benbrook, Texas. A-1 Locksmith takes care of automotive, residential, and commercial business related security and locksmith needs. We can install and repair locks, make duplicate keys or rekey, replace and repair automotive ignitions, program automotive key fobs, sell and install safes, install security systems, digital access, and security cameras are just a few services offered. When you call us, it is because you want to ensure you, your family, your employees, and your customers are safe and secure. You can rest assured that we take your safety seriously. 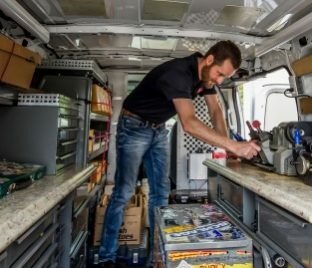 Our locksmith vans are equipped with GPS, so we know their location at all times. 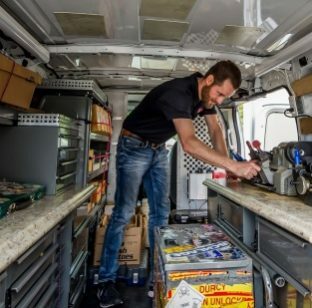 Each locksmith has undergone extensive training and has access to all the latest tools and equipment so the job can be done accurately and professionally. Experience counts, and we have an established reputation that shows we stick by our commitment to complete every job successfully. We have a 100% customer satisfaction guarantee. A-1 Locksmith has been named #1 locksmith by CityVoter.com and local residents for three years in a row. We are also Better Business Bureau certified with an A+ rating. Call us for a free onsite assessment or to schedule an appointment for services.